No one understands your business better than you! A young entrepreneur wanted to start a business with only 3 thousand rupees in his bank balance. Everyone in the society ridiculed him and gave him the suggestion to do a MBA and get a good job. But the young entrepreneur listened to none. He used his first 1000 rupees to buy some “dry fruits” from a trader friend at a cheaper rate and tried to sell it to his friends/relatives. Days passed but none of his friends/relatives bought it. Most of them said that by not buying his dry fruits, they are doing a favour to him so that he can stop this activities and do something more “productive”. After lot of thoughtful days, the young entrepreneur decided to use his next 1000 rupees. He went to his same trader friend and bought more dry fruits at a good whole sale rate. Now having double stock, he again went to his relatives/friends and again asked them if they want to buy it. They all were shocked to see that he has more stock with him than before. 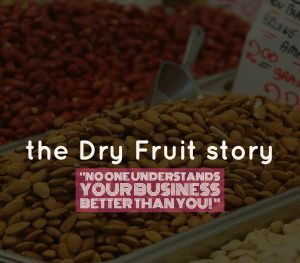 And they all enquired – “How come you have more dry fruits than before”. He replied with a smile to everyone – “ I am being more PRODUCTIVE”. Everyone thought that his business is growing. And this is when the young entrepreneur got his FIRST sale! No one understands your business better than you! Patience, perseverance and financial help is required to succeed in your venture. NeoGrowth loans is your financial support for your business! 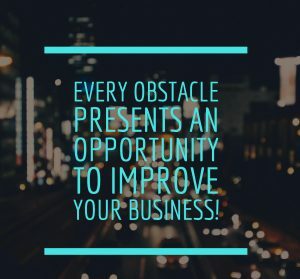 Every obstacle presents an opportunity to improve your business! In ancient times, a king had a big rock placed on a roadway. Then he hid himself and watched to see if anyone would remove the huge rock. Some of the king’s wealthiest merchants and courtiers came by and simply walked around it. Many loudly blamed the king for not keeping the roads clear, but none did anything about getting the big stone out of the way. Then a peasant came along carrying a load of vegetables. On approaching the rock, the peasant laid down his burden and tried to move the stone to the side of the road. After much pushing and straining, he finally succeeded. As the peasant picked up his load of vegetables, he noticed a purse lying in the road where the rock had been. The purse contained many gold coins and a note from the king indicating that the gold was for the person who removed the rock from the roadway. The peasant learned what many others never understand. Every obstacle presents an opportunity to improve one’s condition. Similarly, your business might face many challenges but every obstacle is an opportunity to grow your business. NeoGrowth loans is your financial support to help you in such situations! Don’t like but love your business! Once you start loving your business, you will start caring more for its proper growth. Stop liking and start loving your business! NeoGrowth loans will be a great help for your business proper growth. NeoGrowth helps to complete the puzzle of your business! A Father was reading his emails and his little daughter every now & then distracted him. To keep her busy, he tore one page on which was printed the map of the world. He tore it into pieces and asked her to go to her room and put them together to make the map again. He was sure she would take the whole day to get it done. But the little one came back within minutes with perfect map. When he asked how she could do it so quickly, she said, “Oh…. Dad, there is a man’s face on the other side of the paper… I made the face perfect to get the map right.” She ran outside to play leaving the father surprised. Your business is like a puzzle which will be tough to crack. There will be all sort of problems. But in the end, you have made your business by completing the puzzle. And we @NeoGrowth HELP you in the process to complete your puzzle by giving you financial aid for your business! On his 9th birthday, a father gifted a magnifying glass to his son. With full enthusiasm, he tried to light up a paper with it using the sun rays coming from his window. He kept moving the glass in the hope that it will light up the paper faster. After few minutes, his patience wore off and felt frustrated. On watching this, his dad approached and told him “Focus to not move and you will get it work”. He tried again without moving and with a smile on his face the paper finally lighted up! Get the strength and support for your business through NeoGrowth loans! “ If you use all your strength, then you can”. “You told me i could lift it!”. The boy understood, and giving a slight smile, both lifted the dumbbell! Your strength is not only yours but your support system too! Hard Work: Yes, you must have heard it many times! But nothing comes easily. If you ask any successful business man that what is their success mantra- they will all have one word in common – determination, perseverance and hard work. Hard work doesn’t mean success always but it means a strong determination and passion to follow a path in which you believe. It may bring you success , it may bring you failure but hard work is the journey which you need to cherish to go on! Right Approach: To reach your business goal, there may be many approaches. Its upto you to decide which will be the best for you. Sometimes, you need to change your approach, leave old ones and adopt new ones – but whatever you do – it should be done with proper thought and consideration. A right approach is determined based on your customer preference, technology, latest trends and other factors influencing your business. Funds at right time: All business at some point of time need funds to grow/expand/revamp themselves. 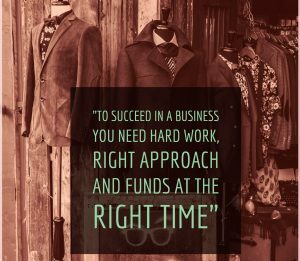 Proper funds at the right time is essential for the success of any business. We @NeoGrowth help you achieve your business goals through our loans. SMEs are gathering strength and showing massive growth levels and (future) potential in today’s economic scenario. However, despite this being the case, in a good number of countries in the world, gaining access to and managing working capital continues to be a major obstacle that SMEs have to contend with. “Working capital”, in the simplest terms, refers to the liquid capital (i.e., cash or funds) that SMEs can use to match the growth rate of the business. And, currently, the major hurdles SMEs have to face (and work with) are the huge gap that exists between the funds required by SMEs and the funds actually available, and efficiently managing the lean capital that they do have access to. Low Revenue, High Cost Requirements of SMEs: SMEs often follow a business model where the revenue they gain per customer is pretty low in comparison to the startup’s cost of production, distribution, and manpower. And this in turn makes credit risk a high probability, which consequently makes banks hesitant to invest in such enterprises. Lack of Entrepreneurial Experience: SMEs are mostly run by first-time entrepreneurs who lack experience and references in their fields. Hence, they often find it difficult not only to manage their available finances, but to also to raise more capital from investors when they need it. And sometimes, even if they do know how to manage their finds well, they still won’t have enough references or backing to convince the investors to pour more funds in the business. Lack of Financial Records and Books of Accounts in SMEs: Lack of financial books and credit history is another major reason why investors are hesitant to aid SMEs. As most SMEs use cash transactions and don’t maintain proper books of accounts, it becomes difficult to analyze and see a firm picture regarding the financial status and potential of the business. And this, in turn, makes SMEs a high credit risk. Lack of Credit History and Conventional Banking Standards: SMEs often have little to no credit history thanks to their lack of official financial records and cash transactions. Plus, SMEs concentrate more on their business model than establishment. And both these factors make it hard for banks to analyze the business’s credit reliability, which consequently makes banks and other financial institutions steer clear of such investments. Plus, in the Internet age, SMEs have even leaner establishment boundaries and logistics, which aids their business’s growth. However, conventional banking standards still don’t consider these factors and can only see a credit risk in the lack of elaborate establishment of the business. Hence, banks (again) are not willing to risk pouring funds into SMEs. Educate SMEs on Effective Working Capital Management: Even if the working capital of a small business is lean, effective management of those funds can be stretched for maximum use and productivity within the business. And, since many new entrepreneurs lack experience here, they should first and foremost be educated on effective financial management practices. Keep an Eye on Cash Management: Careless cash management can ring the death knell for small businesses. Hence, keeping a careful eye of the management of funds and cash usage in day-to-day business transactions is vital. Maintaining regular, clear, and detailed financial records and books of accounts is a good first step to efficient working capital management. Adopt New Technologies: Depending on the type of business, SMEs should not be shy to adopt relevant innovations and technologies into the business. Especially include technologies that reduce costs as well as help SMEs keep track of their finances. SMEs should maintain clear financial records. For, information asymmetry is one of the main reasons banks and financial institutions are deterred from investing in SMEs. The Government has already put into effect various schemes and benefits that SMEs can avail. However, most SMEs are not aware of them. Becoming aware of these schemes would give SMEs easier access to the much-needed funds they require for growth. Delayed payments in the course of business should be strictly supervised and reduced as much as possible. Choose NeoGrowth Credit Pvt. Ltd. which will help in securing working capital and empower businesses. Governments have mostly already started working towards closing the gap between the available funds and required funds for SMEs. However, more still is left to do. On every side though – the banks, the Government, as well as the on the SMEs’ side – improvements in organization, management, and adoption of new innovations and technologies are necessary to close this gap and help SMEs gain access to the required working capital. 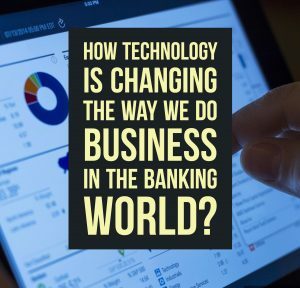 How Technology Is Changing The Way We Do Business In The Banking World? Technology has changed banking and its associated activities forever. Moreover, this change is a continuous process. Despite being one of the oldest forms of business in the world, the advent of technology has changed how this form of business works. For example, the first bank was opened in Italy in 1472 and it operates till date. That means that the bank must have had invested millions of dollars to keep up with the speed of changing technology and remain relevant in the life of its customers. There is one thing that is common among all forms of businesses – everything that speeds up the production or attracts more customers is always welcomed. A majority of such things is a result of technology. That is the reason why businesses tend to change their infrastructure time and again and adapt to the changing technology. A number of businesses, in fact, a majority of them are now conducted on computers or smartphone. Technology has offered people millions of software, databases, personal schedules and stuff to make things easy for them while conducting their business. Banks and its branches still remain integral to the customers, just like before. However, the way banking conduct business now has changed for sure, majorly because of the changes in technology. Earlier, banks were not open at all days of the week. The cash counters used to close almost two hours after the lunch and people could only get information about their bank account and the balance cash by visiting the bank branch and filling a small strip of paper before handing it over to the cashier. But the situation is a lot different today. People can have a 24X7 access to their money stored at the bank and they do not need to visit the bank anymore. While some may still like to visit the bank, but millions of people today now prefer to download the mobile phone app to make payments, check balance and apply for a credit card or a debit card purchase. Moreover, a majority of banking-related queries are now cleared up over Facebook, email, phone, Skype or Twitter. That is, people do not have to queue up at the bank like their fathers and grandfathers to book an appointment with the manager or to talk to the cashier. Ever heard of banking without banks? Well, this has actually become true with the advent in technology. Now, a person hardly has to visit a bank. Just open an account and the rest of the things are taken care of online, even when the person is travelling. Moreover, banks are willing to provide door-to-door service for practically every service that they provide. For example, people can request for a new cheque book or file a credit card request and all the banking material would eventually arrive at their doorstep. Just about a decade ago, people literally had to walk up to telephone exchange and powerhouses, stand in queue and wait for their turn before they could pay the bill. Now, everything can be done through a single tap on their phone. People no longer need to stand in a queue to make payments. Technological innovations like Google Wallet allows users to store their personal banking information such as debit card details and credit card number on their phones, that too safely. This contactless technology has invaded the banks too. The introduction of mobile banking and online banking means that banks no longer need to provide an extensive face-to-face service for features that are majorly being used by the customers through their smartphones and computers. The elimination of generic customer service has paved way for a more specialized personal service that is tailored according to the needs of the individual customers. This is particularly important as a customer phones the bank for some query or personally visits the branch. People no longer need to remember their passwords for authentication. They can simply take advantage of the relatively new form of authentication that uses biometrics. Banks all over the world have started to welcome the use of biometrics for authentication. Techniques such as fingerprint and palm identification and facial and voice recognition have become relatively common now. Moreover, these are considered to be relatively safe forms of customer authentication. Adapting to the changing technology has, in fact, become one of the most important transitions for banks around the world. In the wake of getting a competitive advantage over its rival, banks have now become relatively open to new technologies and new innovative ways through which banking is now conducted. NeoGrowth Credit Pvt. Ltd. which gives businesses funds or working capital is one institution that has matched its steps with the technological up-gradations. It would be an understatement to say that it is yet to be seen how the banking would evolve in the future or whether the adaptation would be enough to keep up with the changing needs of the customer. In the process of setting up a commercial kitchen, buying kitchen equipment is the most important part that promises a lot of excitement. It makes for an enjoyable experience but it can also leave you flustered. This is because there is a huge variety out there to explore from. Also, one is confused between the prospects of buying second-hand and brand new. So, how does one solve the conundrum? Well, it is not easy for sure. Choices add to the confusion and given the constraints put by the budget, it becomes quite challenging to select the best. And the truth is no one wants to settle for anything less than the best and should not either. Your kitchen deserves the best equipment within your budget and you should always strive to pick the most efficient equipment as they will play a major role in the success of your venture. So, here are some tips for you that will help you make an informed decision. 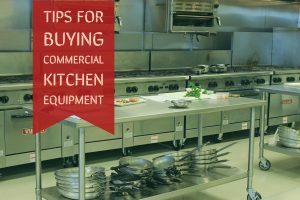 The debate about “New Vs Second-hand” is very relevant when it comes to buying kitchen equipment because there are lots of equipments to be purchased. You have to look for oven, refrigerator, prep tables, microwave, grills, dishwasher, freezer, coffeemaker and more. Now, buying so many appliances means spending a good deal of money. And in most of the cases, businesses that are starting out are hard-pressed for finance. So, it seems a wise thing to buy second-hand equipments. But you should not go the whole hog and purchase every equipment from the second-hand category. The truth is most second-hand equipments have a short shelf life and the repairs costs make them a poor investment decision in the long run. So, you should buy only those used equipments that are in good shape. Also, it is advisable to buy only one or two used appliances. And when you buy, you should always take a test drive before saying “yes”. As said above, second-hand equipment does not make for a very wise option but given the scarcity of finances, one tends to gravitate towards them. The option is not entirely unwise but there is one better option that lets you work with new equipments and you do not have to pay much either. Lease-to-own commercial kitchen equipment is a viable option as you can use new equipments by entering into a lease agreement. The cost is not high and you have to pay a monthly rent which is a small fraction of the total cost. What is more, at times, the lease agreement involves repair costs as well and hence, you do not need to worry in case of any breakage or fault. And the best thing is that you can own the appliance at the end of the agreement period. This is a flexible, fair and fulfilling option and if your budget allows it, you should definitely go for it. Another very fabulous option is to buy brand new equipments that come with special discounts. You can find the discount offers on dented and scratched appliances. Dents, bruises are common fallouts of shipping and they diminish the aesthetic value of the appliance. To fend off losses, sellers offer special discounts on these appliances which bring down the prices a good deal. And you can capitalize on these discounts. It saves you a fine amount of money and also ensures efficient equipment for your kitchen. Always put quality above other things – Quality is foremost whether you are buying new or second-hand or lease-to-own equipment. You must see to it that the appliance works well, covers guarantee and belongs to a reputed brand. In some case, it might turn out to be a little higher in the cost part, but it is worth the money. Look for utility – The market is abuzz with fancy equipments that come at equally fancy prices. But if you do not need them, do not purchase them. You must go for the feature-rich, efficient and fair-priced appliances that will prove to be wise investments in the long run. Do your homework/research – Whether it is comparing the prices or talking to industry experts or analyzing the working of the different appliances, you must do your homework well. It will not just help you buy the best piece but will also save you lots of money. You will also get hands-on knowledge about the equipments, which will help you in future. So, if you are ready to shop and set up your kitchen, just keep these points in mind and go ahead. You will easily find the most fitting equipments within your budget that will definitely prove to be worthwhile investments. NeoGrowth provides business loans if you are in the food/restaurant business! 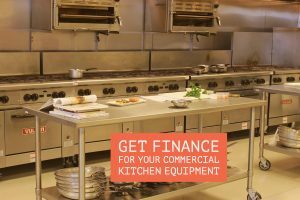 If you are looking for a business loan to buy commercial kitchen equipments, opt for NeoGrowth Credit Pvt. Ltd. The hassle free procedure involves doorstep documentation and the use of modern technology. So, you need not worry about the flow of funds. NeoGrowth offers business loan not on the basis of the financial statements, but on the stability and performance of your business and the cash flow estimation. And, for repayment, you can choose to pay more when your business is flourishing or less when the sales have dipped. This ensures that you pay more attention to your business. You can also download NeoGrowth Business loans PDF file for your reference.